Video has emerged of the moment a sewer truck hit an ambulance with a patient inside last week in Dudley, Massachusetts. 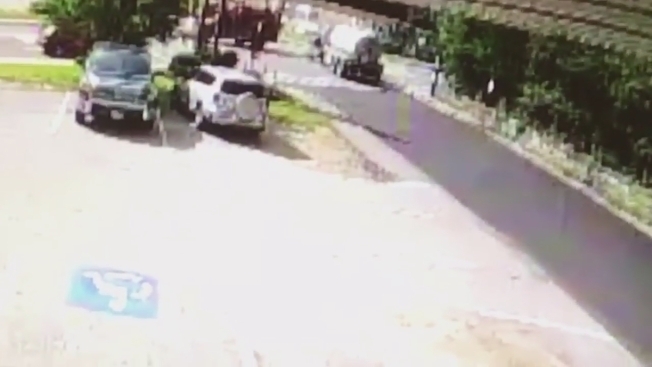 Video has emerged of the moment a sewer truck hit an ambulance with a patient inside last week. The NBC Boston Investigators obtained the surveillance video of the Friday morning accident in Dudley, Massachusetts, on Monday. In the video released by Auburn police, the Mack truck is shown driving down Village Street toward Schofield Avenue, slamming into the ambulance that had a 71-year-old patient on board. That woman and a Dudley firefighter were taken to the hospital for non-life-threatening injuries. The 61-year-old driver of the sewer truck wasn't hurt in the crash. The intersection was closed for hours.